Murray won the ATP Shanghai Masters. The three-week five-tournament Asian hard-court swing ended last Sunday at the Shanghai Rolex Masters. The following players left with one more title on their career list: Guillermo Garcia-Lopez (Bangkok), Mikhail Youzhny (Kuala Lumpur), Rafael Nadal (Tokyo), Novak Djokovic (Beijing) and Andy Murray (Shanghai). Not surprisingly, all of the winners are featured in this installment of men’s tennis power rankings. And the European indoor hard-court season has started this week in Stockholm and Moscow. With four open seats yet to be filled in the World Tour Finals, this is a key stretch for those still hoping to qualify. Andy Murray No. 1 in this week's power rankings. Andy Murray took several weeks off after his surprisingly early exit at Flushing Meadows and then joined the action at Beijing and Shanghai. In the quartefinals at Beijing, Murray was unable to find his rhythm against a hard-hitting Ivan Ljubicic. However, he swept aside the competition at Shanghai, winning his sixth Masters 1000 title without dropping a set. His 6-3,6-2 final win over Roger Federer was most impressive, with his exceptional retrieving ability on full display. After splitting with Maclagan, Murray has won two Masters 1000 titles, his only titles this season. However, already 23, Murray is yet to win that elusive first Grand Slam. Maybe more changes than his coaching staff are needed. How about giving up video games, Andy? Roger Federer faded in the finals at Shanghai. Roger Federer took an extended break after his US Open campaign, missing the final for the first time in seven years. He skipped the Asian swing completely last year, but this year decided to play at Shanghai, a place quite special to him for his four Masters Cup titles. 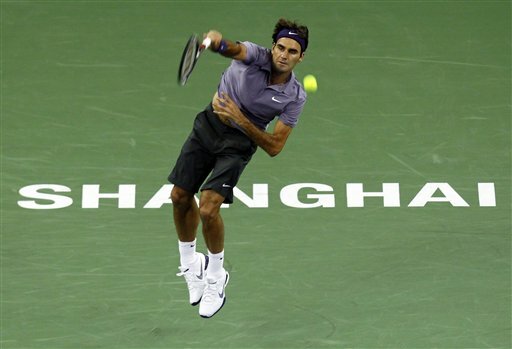 Federer showed little rust in the first few rounds at Shanghai, winning in straight sets. He completely dominated Soderling in the quarterfinals and showed Fedelicious tennis against Novak Djokovic in the semifinals. However, he was visibly bothered with Murray’s counter-punching tennis and lost to him in two straight Masters 1000 finals. Committed to four more tournaments in the last five weeks of the season, Federer intend to end the season on a strong note. With less points to defend than Novak Djokovic, he is in good position to end the season in the top two for the eighth straight year. Novak Djokovic lost in the semifinals in Shanghai to Federer. After reaching his first US Open final, Novak Djokovic helped Serbia reach the first Davis Cup final in the following week. Adding Martin to his coaching team turned out to be a bad decision and it took Djokovic quite some time to get back the confidence he needed to win a tournament, as he finally did in Beijing. However, he is yet to win a Masters 1000 shield this season. Will he be able to defend his title at Paris, the last Masters 1000 event of the year? All the other “big four” has at least one Masters 1000 title already this year. Rafael Nadal is ranked No. 4 in this week's Power Rankings. After completing the “Golden Slam” at New York, Rafael Nadal did not take an extended break. Instead, he competed in all three weeks during the Asian swing. 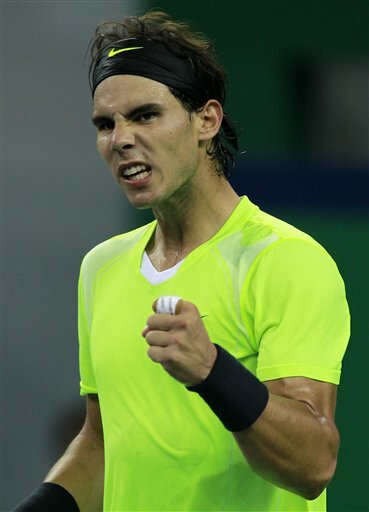 Nadal surely looked unbeatable after his third straight Grand Slam win at Flushing Meadows. 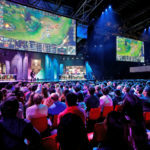 However, he suffered two upsets in three weeks, losing to Guillermo Garcia-Lopez in the semifinals at Bangkok and Jurgen Melzer in the third round at Shanghai. He did win his tour-leading seventh title at Tokyo. There is not much more Nadal needs to accomplish this season, though he would for sure like to win his first World Tour Finals title at London. After that, everyone will wait to see whether he will be able to complete the “Nadal Slam” in Australia next year. Guillermo Garcia-Lopez is not known for his hard-court game, yet he was able to defeat Nadal at Bangkok and went on to win his second career title, first on hard-court. His win over Nadal was most impressive as he did not shrink in the aura of his mighty opponent, the new US Open champion. In the three-set match, he was able to save a staggering 24 of 26 break points. Is that a record? Garcia-Lopez is currently enjoying a career-high ranking of 29. Robin Soderling has not fared too well on the hard courts so far. 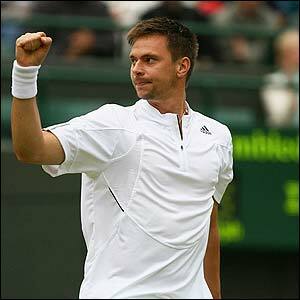 Robin “Quarterfinalist” Soderling is on a four quarterfinals streak. He won’t be very eager to keep that streak alive this week at Stockholm, especially considering that a semifinal showing would secure him a berth in the World Tour Finals. Soderling ended Federer’s Grand Slam semifinal streak at Roland Garros, but has since lost to the Swiss in both US Open and Shanghai Rolex Masters. The 1-6,1-6 score line in the Shanghai quarterfinals was most astonishing. Though two straight finals run at Roland Garros was quite impressive, he is yet to win any big title in his career. David Ferrer is on course for a career best season, having won 54 matches this year. In 2007, the Spaniard won 61 matches and advanced to the Masters Cup final. Ferrer is currently seventh in the year-to-date rankings. With other major contenders like Tomas Berdych, Andy Roddick and Fernando Verdasco all suffering from either injury or poor form, he is in good position to qualify for the prestigious year-end tournament for the second time in his career. Back from injury again, Monfils is ranked No. 8. After a quarterfinals showing at New York, Gael Monfils helped France advance to the Davis Cup final with a win over David Nalbandian. Monfils has had an injury-plagued season, suffered from a hand injury for two months from March to May then a ankle injury in July. When healthy, he was able to post some decent results, like his final showing at Tokyo. 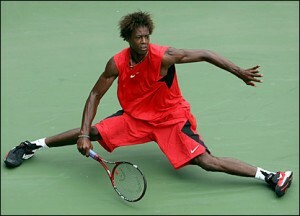 With his superb athleticism, it is hard to imagine that the talented Frenchman has only two titles to his credit. He has 600 points to defend at Paris. Melzer did well during the Fall Hard Court season. Though already 29, 2010 turns out to be a career-best year for Jurgen Melzer. He advanced to a Grand Slam semifinal for the first time at Roland Garros and then won the doubles title at Wimbledon (w/ Philipp Petzschner). 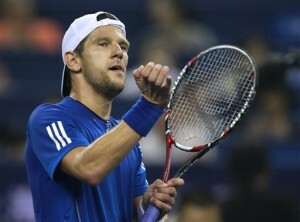 Melzer had an impressive win over Nadal in the third round at Shanghai. Though he lost to Juan Monaco in the singles quarterfinals, he teamed with Leander Paes to win the doubles title. He has already qualified for the World Tour Finals in doubles, and is looking to also qualify in singles. He is currently enjoying a career-high ranking of No. 12. Mikhail Youzhny opened his Asian campaign with a bang, winning at Kuala Lumpur. However, he failed to keep the momentum going, falling in the first round at both Beijing and Shanghai. Currently sitting at No. 10 in the year-to-date rankings, Youzhny is looking to qualify for the World Tour Finals for the first time in his career. He had a big set-back this week, having to withdraw at Moscow due to a viral infection. He is on course for a career-best year-end finish. Berdych is yet to advance beyond the quarterfinals in any tournament ever since his final run at Wimbledon, falling in the first round this week at Stockholm. Ironically, he just rose to a career-high ranking of No. 6 this week. Roddick retired in his second round match against Guillermo Garcia-Lopez at Shanghai with an abductor muscle strain. He is hoping to return in time for the Paris Masters. Maybe qualifying for the World Tour Finals is not the top priority for the American right now. With only a quarterfinal showing at the Australian Open as his best Grand Slam result this year, Roddick has much work to do to make a bigger impact in the majors next season. With a quarterfinal showing at the US Open, Verdasco looked in a good position to qualify for the World Tour Finals. 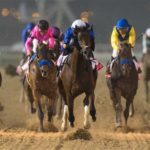 However, a winless Asian campaign saw him slip outside the year-to-date top eight. Surprisingly, he rose two spots to No. 7 in the ATP rankings, matching his career-high.